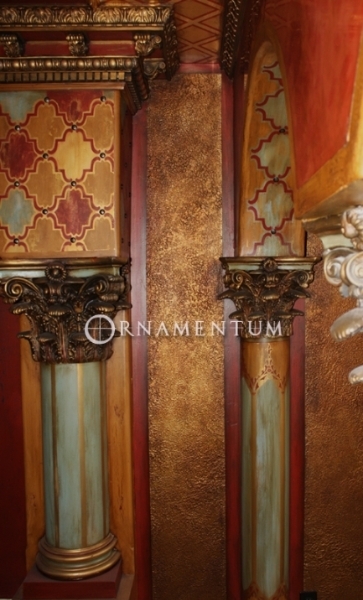 Under the direction of national award winning surface designer and artist Anthony Pinkston, Ornamentum offers Boise's most extensive selection of surface and architectural finishes for walls, ceilings, furniture, cabinetry, floors and countertops. 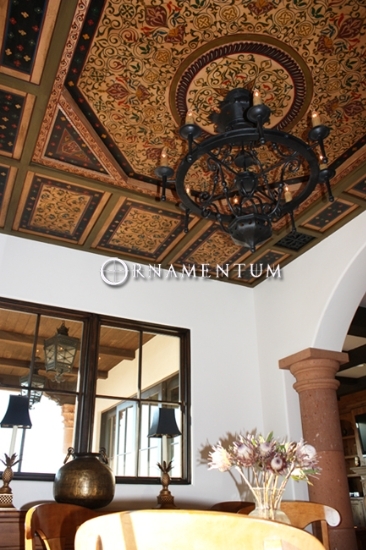 The team at Ornamentum have completed projects from coast to coast ranging from single accent walls to large residential estates and commercial projects. 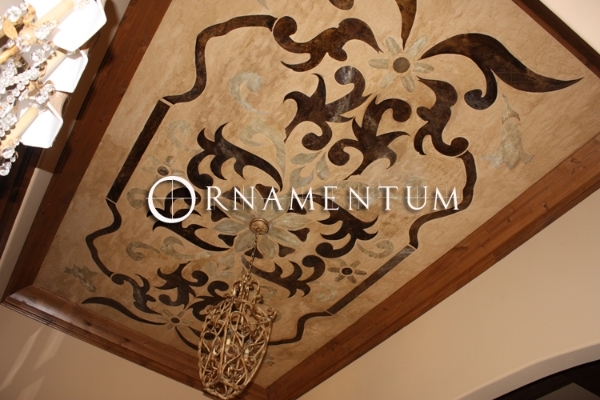 With extensive knowledge of traditional plaster applications, various styles of hand painted Ornamentation, faux bois (woodgraining), faux marble, guilding (gold, silver, and copper leaf application) paired with innovation and continued exploration of new product technology, application techniques and design trends make Ornamentum the obvious choice for your next project. This gallery represents a sampling of Ornamentum's past surface installations. You will see decorative finishes ranging from simple glazes and faux finishes to multi layer plasters and hand painted ornamentation in a variety of different design styles on walls, ceilings, furniture, cabinets and counter tops. Most of these finishes were specifically and exclusively designed by Anthony Pinkston of Ornamentum for the space you now see photographed. Although many of the installations lean toward the dramatic side , no project is too small and Ornamentum offers a enormous selection simple architectural surfaces that add subtle refined interest, texture and movement to any interior enviroment. Contact Ornamentum today to consult about your residential or commercial project.